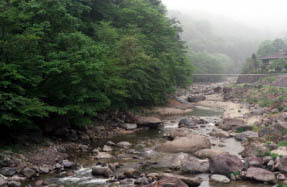 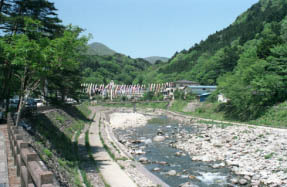 The end of the Nasu-Kogen southwest, the places secluded from daily work of the Nakagawa ravine. 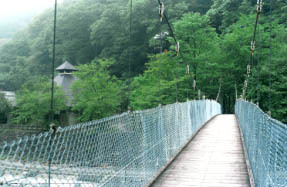 The suspension bridge hung on a ravine. 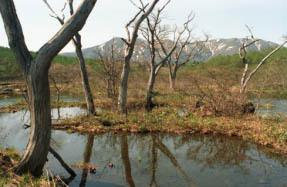 The mountain range of the Numahara marsh and the Fukushima-ken border. 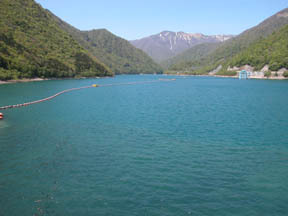 The dam lake of the Nakagawa origin, a place-deep-in-the-mountains lake.